Do you have a piece of furniture in your home that is on its way out? Have you decided that there is just no saving it? Well, I have the answer for you. Don’t throw it away!! 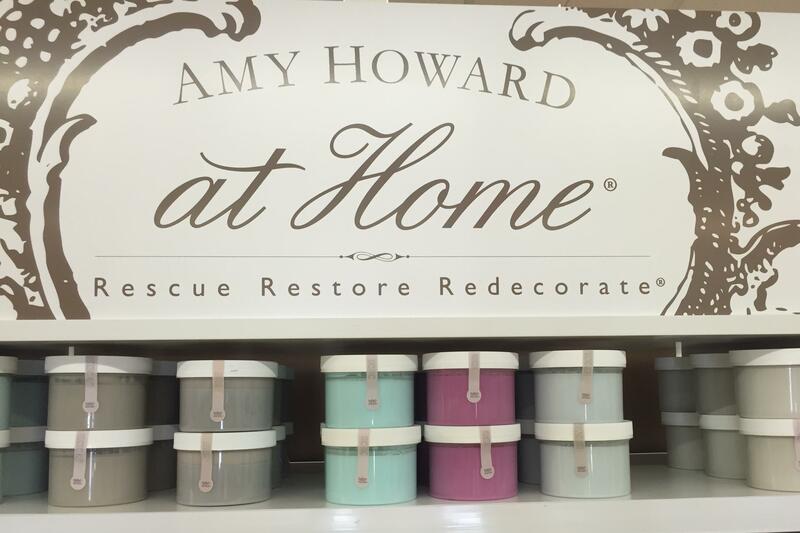 Use Amy Howard One step paint to “Rescue, Restore & Redecorate” that piece and many more!! It used to be that there was only one way to restore a piece of furniture and it was a looooooong labor intensive process. Not so anymore. Amy Howard one step chalk based paint is truly that, just one step. All you have to do is clean your piece with a degreaser then wipe down with a dampened cloth to remove the degreaser, wait for it to dry and paint. Amy Howard paint has many colors to choose from and can be painted on any surface but if you don’t find the exact color that you are looking for Nelson’s can match most any color that you choose in a quart sized can. Most pieces can be completed with just one coat of paint and if you like an opaque flat finish, your project is complete. If you’d like to take it a step (or two, or three) further than you can coat it with Amy Howard Clear wax for a soft subtle glow or use the Light and Dark wax (and/or Dust of Ages, Cracked Patina, Gold Leaf Gilding Sheets) to give it an antique look. Amy Howard One Step paint can even be thinned to use on fabric!!! Nelson’s carries many Amy Howard products to help you complete your furniture redecorating projects. We have a Spray Furniture Lacquer, primer and top coat that leave a beautiful glossy finish, available in a myriad of colors. Amy Howard Light and Dark Antiquing wax can be used alone or with the Dust of Ages to leave an antique finish over your one step paint. The Cracked Patina can be used with two colors of Amy Howard Chalk paint to leave a crackled finish with one color showing through the cracks of the other. The Gold Leaf Gilding sheets and Gilding Size can be used with the One Step paint to replicate ornate antique trim. Stop in and see Kelly, Annette or Bob and we can help you get started!! We'll look forward to seeing you at the store soon!